In the three days since the death of David Bowie, virtually everything that could possibly be written about him has. I was going to make a pass on writing, because what could I possibly add? I'm definitely a fan, but by no means am I the biggest fan. But... how can I not? Like most people in my age range, I first really discovered David Bowie through the 1986 film Labyrinth. Of course I knew that David Bowie existed before that, but not much more. Even surrounded by Muppets and kidnapping a baby, we all just knew that The Goblin King was cool. I'm not going to say I was rooting for The Goblin King to win, but if Sarah had decided to stay in the dreamworld, I would have been 100% cool with it. As a child in the 80s, I knew the hits of the day like "Let's Dance" and the duet of "Dancin' in the Streets" with Mick Jagger. Those kind of kept me away, until I first heard The Rise and Fall of Ziggy Stardust and the Spiders From Mars. Finally, the music I heard matched the coolness of the man. That's also when I discovered 1997's Earthling, his foray into jungle and 90s industrial music. He is the main reason I love when am artist completely switches genres between albums. Blackstar, what we now know is Bowie's final album, was a bit weird when we all first listened to it last week. We've always been so used to Bowie playing characters or writing from another perspective. A line like "Look up here / I'm in heaven" was searched for meaning, when the real meaning was right there in the words. There has been a lot of speculation and clickbait headlines asking if Bowie meant this as a goodbye to his fans and if he wrote it about his impending death. I can't imagine anything but. The death of David Bowie hurt a lot of people even more than they expected. I know I certainly felt it, and still do. On Monday morning, I reached for my phone while still in bed, and started to check Facebook like all grown adults should. I had a number of notifications, and I clicked on the first to see a headline announcing David Bowie's death. I couldn't believe a friend had fallen for such an obvious hoax, and that the local NBC affiliate posted what was obviously not real. It wasn't until the second, and then third, and then just dozens of other posts that I realized it was real. David Bowie was gone from us at the age of 69. Whenever I had read his age, it always shocked me that he was that old. Every single time I read it I was shocked. At the same time, if someone had told me that Bowie was involved in the WWI Christmas Day soccer game, I would have probably believed it. He just seemed timeless and eternal, like he always had been and always would be. Sadly, I was wrong. It's not just that it was completely unexpected. When Lemmy died last month, it was sad but not entirely shocking. He had been having health problems for a while, and cancelled a number of shows in the past year. But Bowie kept an 18 month battle with cancer completely out of the public eye. That's an amazing feat in today's share all/TMZ culture. 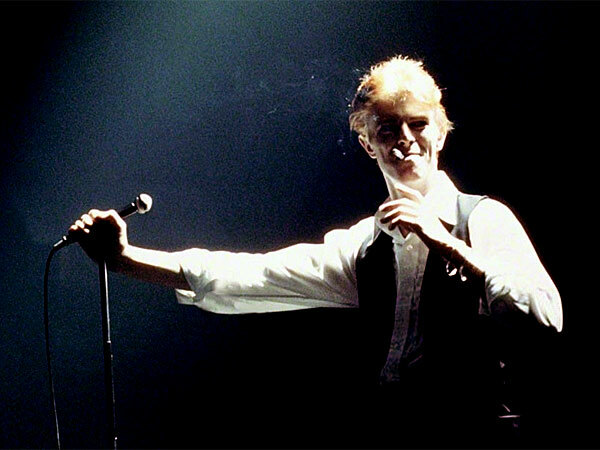 Seeing as it's impossible to truly put together a tribute playlist that will make everyone happy, I decided to share some of the more interesting David Bowie covers I've heard through the years. What's truly special about this list is how diverse the artists on it are. You'll find 90s alternative, 80s new wave, goth, metal, punk, emo, folk, today's up and coming bands, and more here. It just shows the reach his music truly had, and still has. I finished it off with "Sector," a song by Maine band Rustic Overtones that Bowie appeared on. If you're interested in the story of how one of music's biggest icons came to appear on an album by a little known band from Maine, check out the story in the Portland Press Herald.